1. 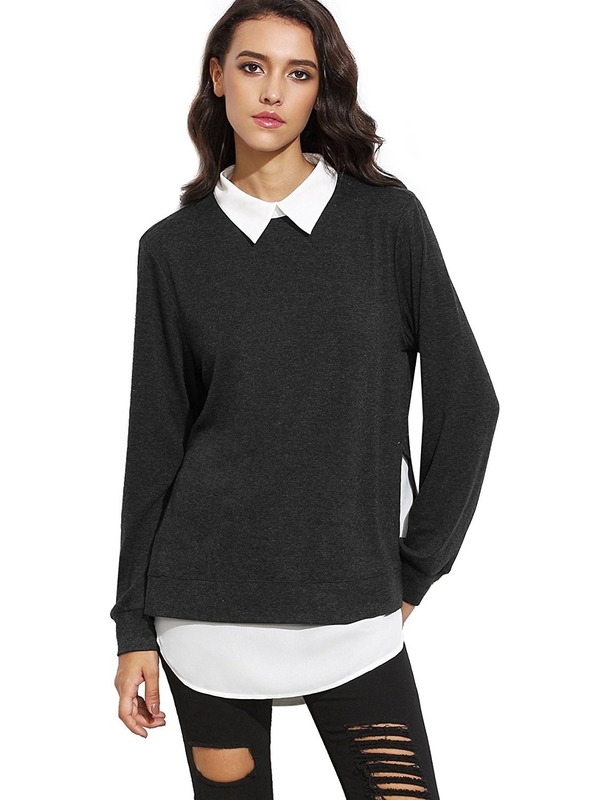 A mock neck sweater known for its horrible attitude. I have no idea why, but it's always giving me the cold shoulder. Get it from Express for $35.94 (originally $59). Sizes: XXS-XL. Available in three colors. 2. 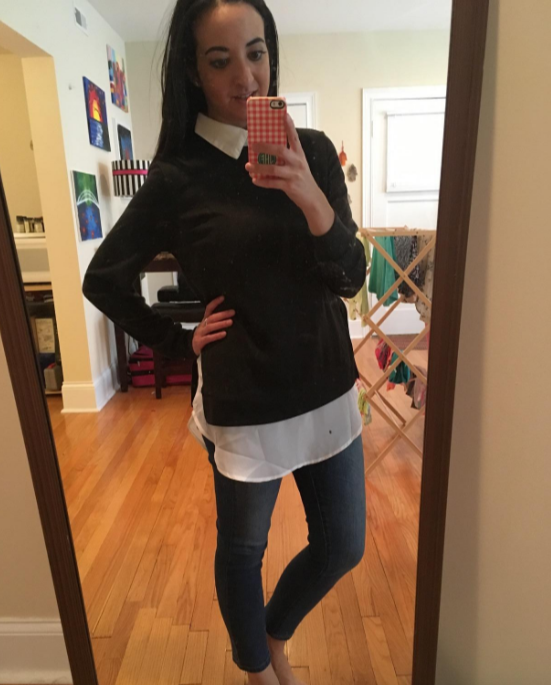 A classic collar sweater perfect for the mornings when you roll out of bed super late, but still need to look put together. Get it from Amazon for $19.99. Sizes: XS-XXL. Available in two colors. 3. 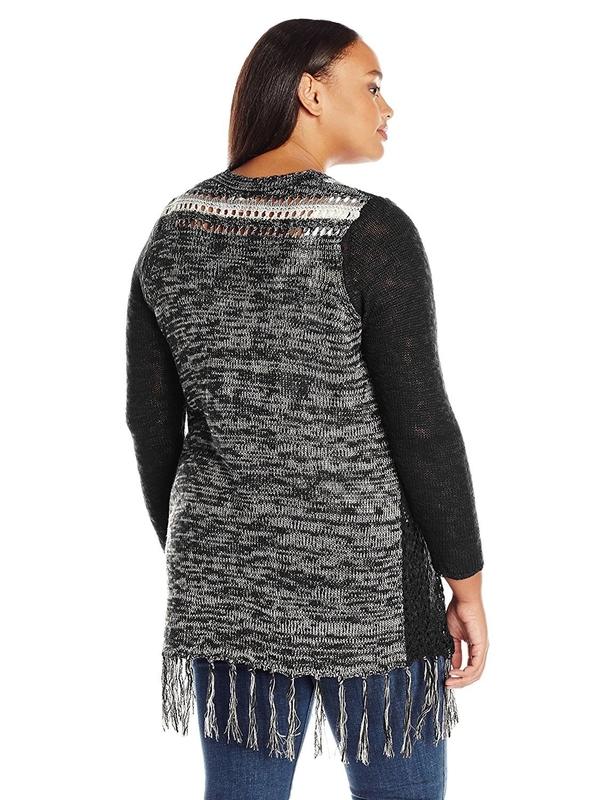 A corset wrap sweater that's the perfect gift from yourself, to yourself. You won't even have to wrap it. 4. An ombré open front cardigan featuring a mix of grey and teal. This is sure to make you teal so cozy. 5. A cropped sweater you can pair with a pair of high-waisted bottoms for an outfit that screams "PINTEREST." Get it from Amazon for $9.99+. Sizes: XS-L. Available in 17 colors. 6. A pom pom llama sweater you'll have a real prob-lama with. Why? All your friends will ask to borrow it. How does one politely say "NO YOU CAN'T BORROW IT AND DON'T ASK ME AGAIN." 7. A plaid cardigan perfect for all kinds of fall and winter activities. I'm talking pumpkin picking AND tree decorating. Get it from ModCloth for $59.99. Sizes: XXS-4X. Available in three colors. 8. A chenille striped sweater in a vibrant red color that I personally love from my heat to-ma-toes. It's a tomato color. Just wanted to make that clear, in case you didn't understand my terrible joke. Get it from Forever 21 for $22.90. Sizes: S-L. Available in two colors. 9. 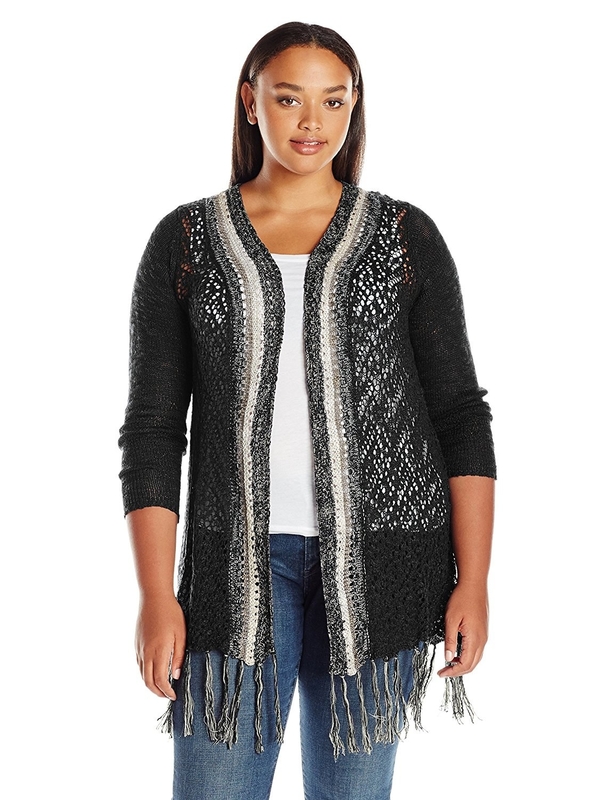 A sequin-trimmed fuzzy cardigan that screams "wear me to a holiday party, dammit!" 10. A cozy sweater with the perfect lie. When a coworker asks how you're feeling on a Monday, just point to the embroidery! The thing is, Kathy, I hate Mondays. But with this sweater, I don't have to fake smile and say that I'm feeling great! Get it from Amazon for $24.99. One size fits most. Available in 10 colors. 12. A fluffy cardigan for Despicable Me fans. You'll get to shout "IT'S SO FLUFFY I'M GONNA DIE" every time you wear it. Get it from Urban Outfitters for $59. Sizes: XS-L. Available in three colors. 13. A faux fur sweater that everyone is sure to compliment, whether friend or faux. 14. 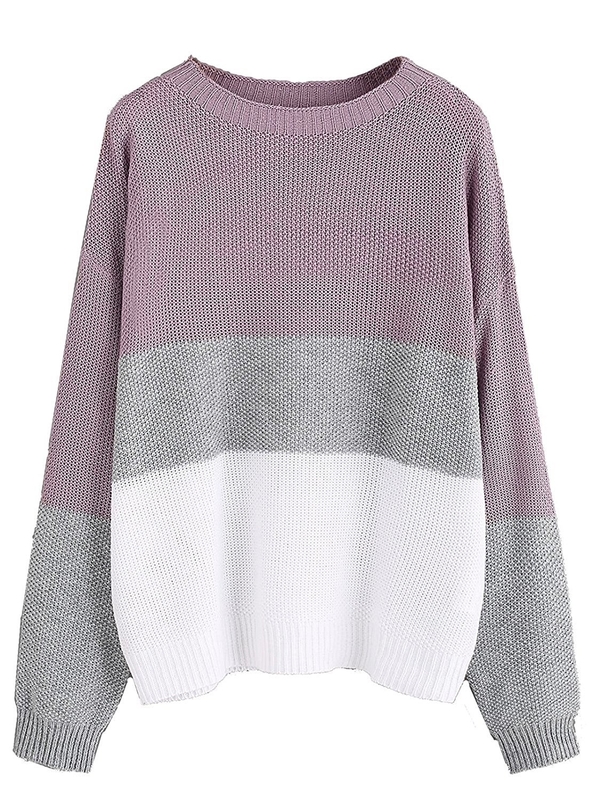 A colorblock sweater perfect for the indecisive person. Why choose one color when you can have three? Get it from Amazon for $21.99. Sizes: S-L. Available in five colors. 15. A space dye yarn sweater so soft, you'll only take it off for laundering purposes. Maybe. 16. 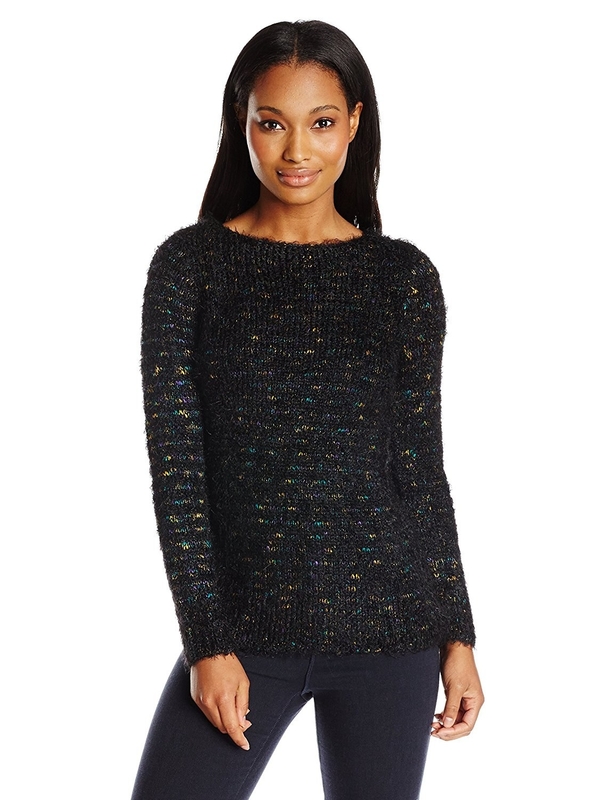 An iridescent sweater that'll make you feel like you're wearing a fishtail. But you know, on your torso. 17. 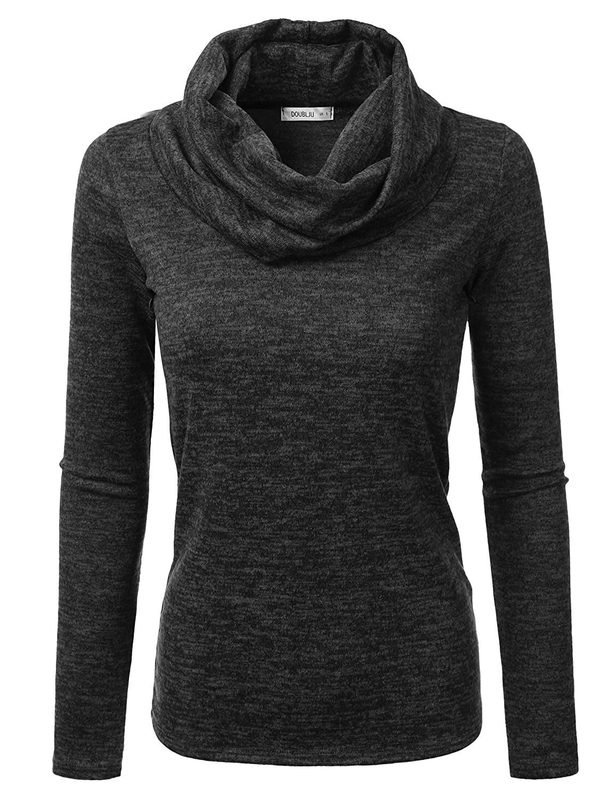 A high-neck sweater for shoulders that don't mind being a little exposed. They just want to let loose, okay? Get it from Amazon for $10.88+. Sizes: S-XL. Available in five colors. 18. A knit cardigan perfect for anyone who needs sunshine on a cloudy day. The Sunny D of fashion, if you will. 19. 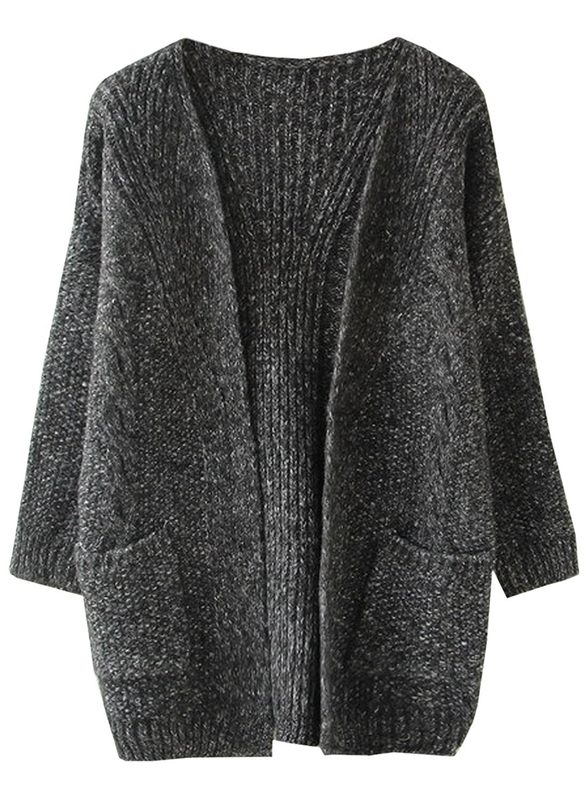 An oversized boucle sweater so comfortable, it'll feel like you're walking around in your coziest blanket. Swoon. 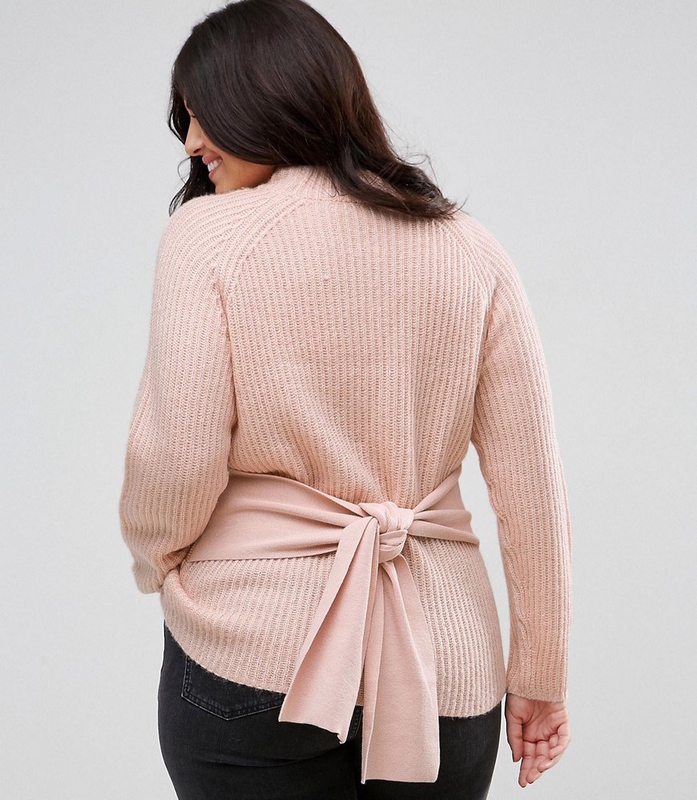 Get it from Aerie for $37.91 (originally $54.95). Sizes: XXS-XXL. Available in four colors. 20. 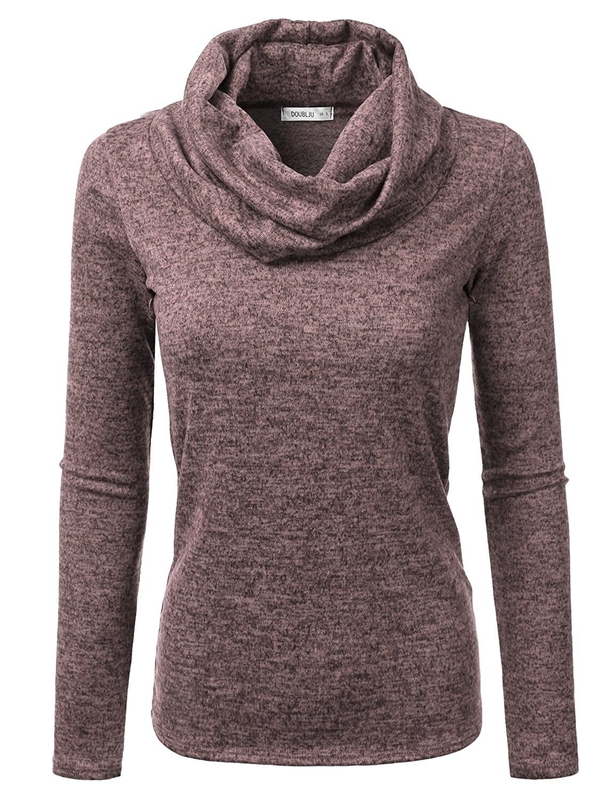 A cowl neck sweater available in a bunch of neutral colors you'll want to fill your closet with ASAP. Get it from Amazon for $17.99. Sizes: S-XXXL. Available in 15 colors. 21. An embroidered sweater you'll have to care for with sunlight, water, and carbon dioxide. It is SO high maintenance. 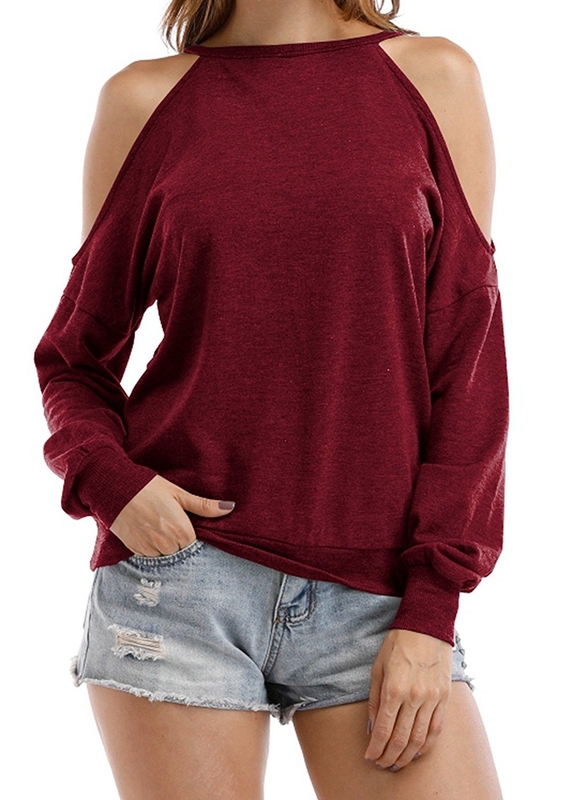 Get it from Boohoo for $16 (originally $32). Sizes: 12-18. Available in three colors. 22. A long cardigan designed with gorgeous and intricate details. Crochet and fringe, galore! Get it from Amazon for $11.63+. Sizes: 1X-3X. Available in three colors. 23. A beaded sweater with pearls pulled from only the finest of oysters. You deserve nothing but the best. 24. 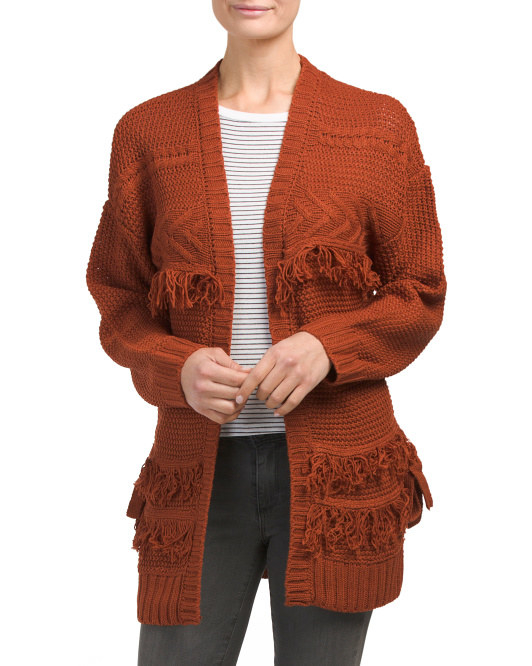 A fringe cardigan in a rust color that would probably intimidate the crap out of Iron Man. "This could be you..." —this rust-colored sweater to Iron Man, probably. 25. 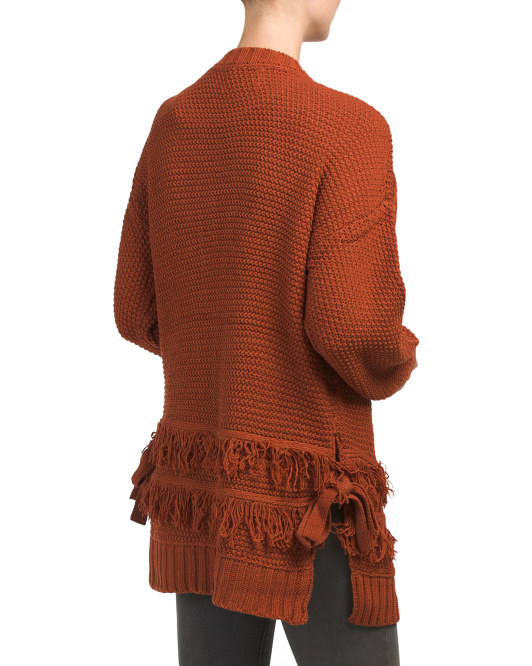 An open-front cardigan guaranteed to become your go-to layering piece. You'll be eternally grateful for it. 26. A chenille funnel neck sweater with a chevron pattern you'll want to funnel straight into your shopping cart. 27. 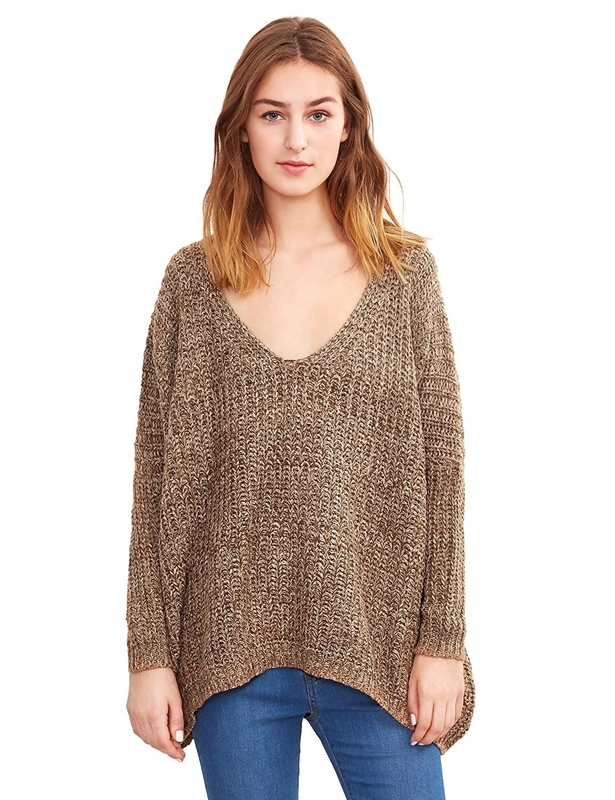 An oversized sweater you'll probably want to purchase in every color. Don't worry, I won't judge. Get it from Amazon for $18.99+. One size fits most. Available in seven colors. 28. A knit sweater complete with MITTENS ALREADY SEWN IN. The person who designed this deserves an award. 29. A turtleneck sweater to keep your neck nice and toasty. It'll be totally bread-y for the cold weather. 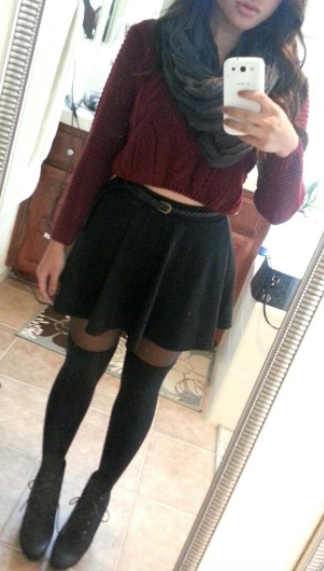 Get it from Brandy Melville for $38. One size fits most. 30. 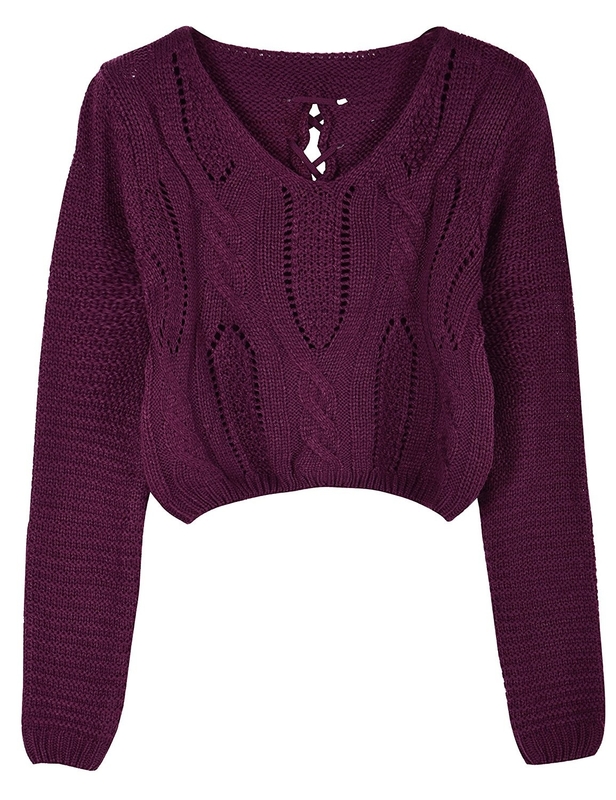 A chunky sweater with a lace-up back. This is perfect for lace-y days spent lounging around, doing absolutely nothing. 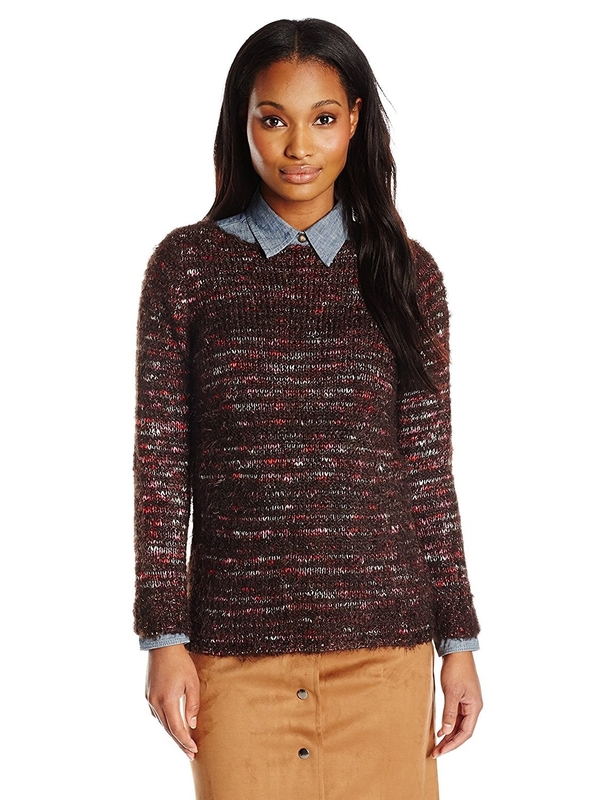 Get it from Tobi for $38 (originally $76). Sizes: S-L. Available in three colors. 31. A fuzzy cropped sweater designed to help you de-stress and unwind. It is lavender, after all.